We take a break from Man vs World’s Olympic Games coverage for a competition of an entirely different sort – the blogger relay. 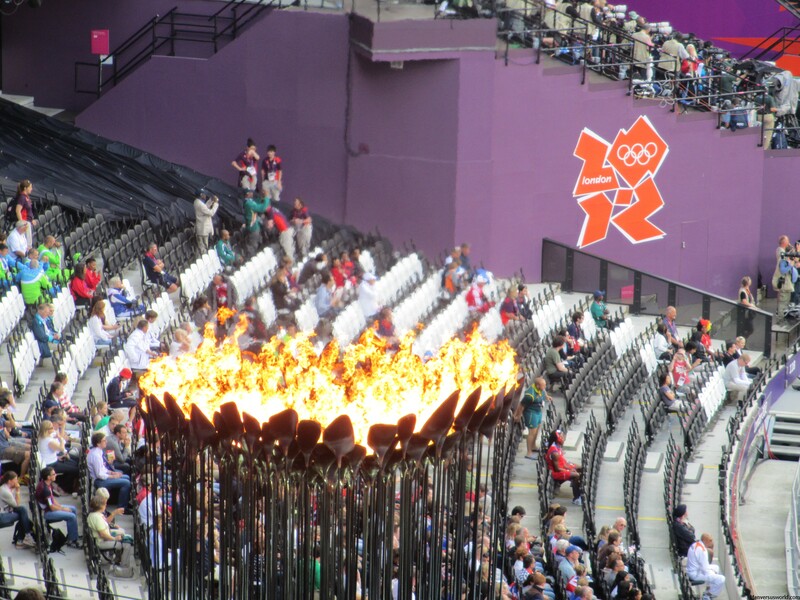 Chrystal at Chrystal Clear has passed Team Purple’s baton to yours truly, and with it comes the task of condensing more than five years of fantastic travel memories into three brilliant ones: Gold, Silver and Bronze. Well, I’d better not just stand around here talking about it. 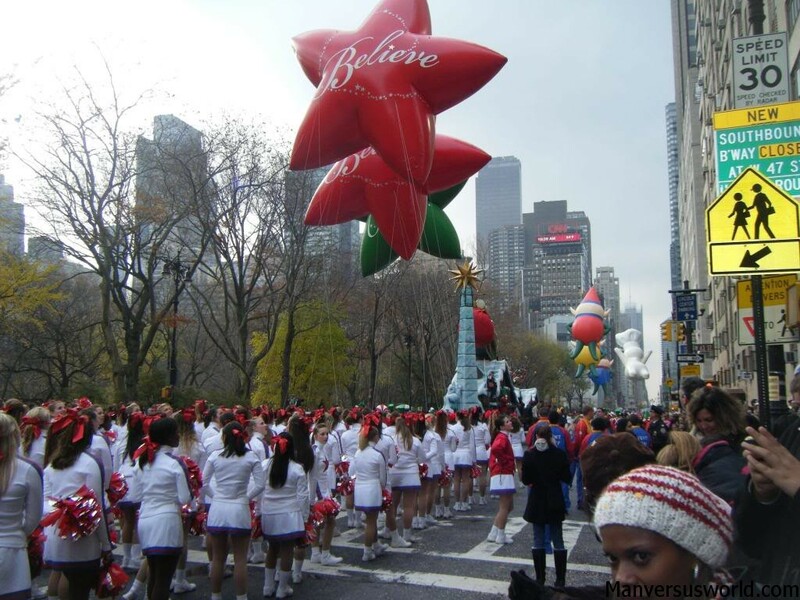 Not Team Purple’s victory parade – Thanksgiving in New York. I’m thankful for a lot of fantastic travel memories – but I’m really thankful that I was in New York for the annual Macy’s Thanksgiving Day Parade a few years back. Formerly just a parade that I was vaguely aware of due to oblique references to it in US television shows like Friends and Seinfeld, it’s since become the yardstick against which I compare all festive holiday events. Everything’s bigger in America – and nowhere is this adage more apt than in New York City. People take to the streets hours before the parade begins, searching for the best spot to watch giant inflatable cartoon characters, marching bands and incredibly colourful floats move south along Central Park and in to the concrete jungle that is New York. The New York winter is a cold one but for the few hours that the Thanksgiving Day Parade runs for the atmosphere on the streets of the Big Apple could not be warmer. Crimson, scarlet, ruby, red; as far as the eye could see – everything was blanketed in tomato. On the last Wednesday in August every year, Buñol in Spain is ground zero for the world’s largest food fight; one hour of tomato-throwing mayhem punctuated only by water cannons firing into the crowds to signify the end to one of the world’s strangest festivals. Truck-loads of tomatoes are hauled in and dumped on to the streets while thousands of locals and tourists alike jostle for position, grabbing armloads of the mostly over-ripe fruit and launching them at all and sundry. Later, the frenzied food-fighting fun becomes a water fight as locals launch buckets of water from the rooftops above to wash down the streets and everyone on them. I’ve said it before and I’ll say it again: getting engaged to my long-time travelling companion was a wonderful bookend to my recent adventures backpacking in South East Asia. 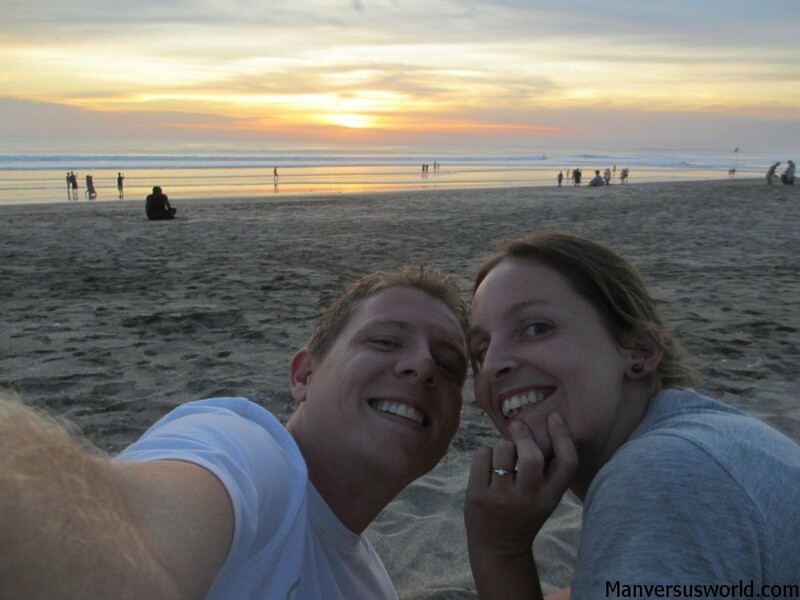 The setting was perfect – sunset on Kuta Beach in Bali – and the timing was just about. Except for one Indonesian woman who decided to beg for change while I was mid-proposal, the single most romantic moment of my life went without a hitch (she actually said yes!). It was so unexpected that Nicola, my girlfriend and constant travelling companion for more than seven years, actually had to ask me if I was serious before she responded in the affirmative – not that I’ve ever joked about popping the question before. As far as travel memories go, getting engaged in Bali was by far the most special to me; here’s hoping the wedding day and subsequent honeymoon live up to the hype. And now, on that extremely sentimental note, I’d like to pass the baton for Team Purple on to Raghav at Traveling Ticker. I’m from NYC, so I love the Macy’s parade entry. But my real question is, how on earth did you keep all those tomatoes off your camera?! Cheers mate! 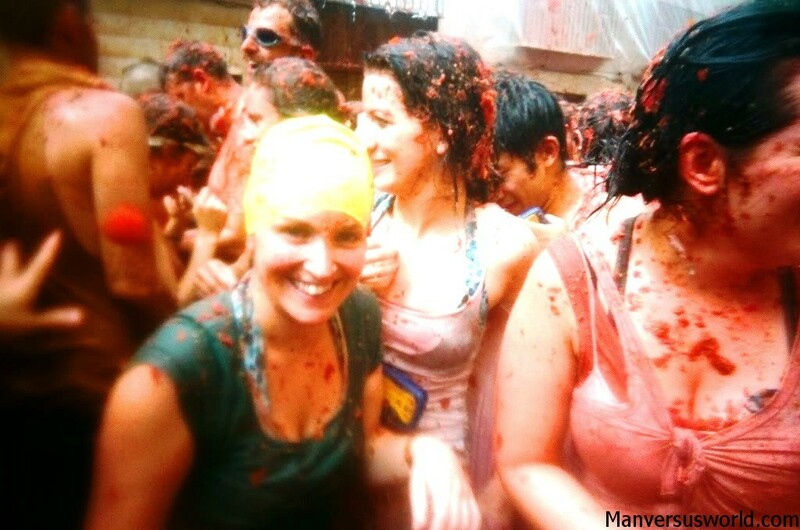 I used a disposable camera at La Tomatina – which is why the photos aren’t the best. Within a couple of seconds I was shooting through a haze of tomato and I’d have to keep wiping the lens with my finger to clear it. Haha, better than using my proper camera though! Oh yeah, we’re going to win this thing! #Teampurple ho! Haha, I promise you that it is a true story! Sanur is brilliant; I can’t believe you had a massage interrupted by someone trying to sell you a manicure!!! Awww, that’s lovely Simon. I really want to go to the Thanksgiving Parade, but then again I want to do everything so I can’t win 🙂 great post. 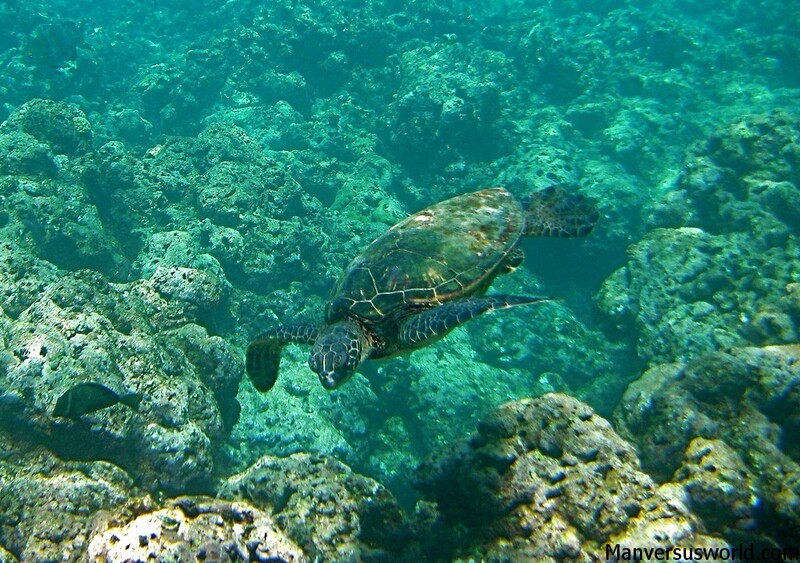 such amazing experiences. 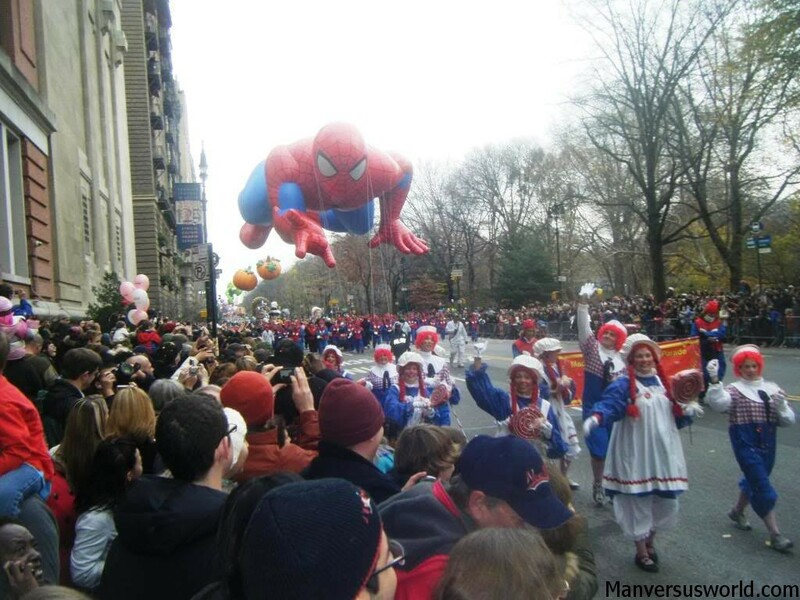 Macy’s parade is so iconic to NY and has been part of cinema as well. Someday I hope I witness it. I have to say finally I know someone who has actually been to Tomatina. It’s on the bucket list of many but honestly never came across someone who’d been painted red thanks to tomatoes. Bali is wonderful, I was there for my honeymoon and loved the people and just the overall experience. I love visiting places or events that I’ve seen on TV or in film! And I must say I’m pleased that I’m the first you know to have been to La Tomatina because it makes me feel just a little bit special! Haha. Thanks, Raghav – I’m looking forward to reading your entry! La Tomatina looks brilliant, but its all about your gold entry mate, and the Indonesian woman who obviously took a shining to you and wanted you to propose to her instead. Dont ask dont get I guess, but I think you made the right choice. Haha, I never looked at it that way before! Cheers mate. I love to go and try the La Tomatina in Spain, and that will be a great way to gain entry to the Spanish culture and also, the Gold of course, getting engage in no place but Kuta Beach in Bali sans the epic woman who ask for the change, with that, I was like looking at the movie when u were serious proposing then someone asked u for something mid-sentence, I’d scream hahaha. Awesome post mate and yes, Team Purple rules!